Like many other kids who grew up in the 80s, I played tons of Street Fighter II Turbo on Super Nintendo. I loved Street Fighter and spent an inordinate amount of time with Street Fighter EX Plus α on PlayStation, but I lost interest in subsequent titles (and fighting games as a whole) until I saw the cover of BlazBlue: Calamity Trigger on a shelf at local game retailer. I simply had to know how this shirtless fellow with all the abs (Bang Shishigami) was going to fight people using the giant nail he had strapped to his back. 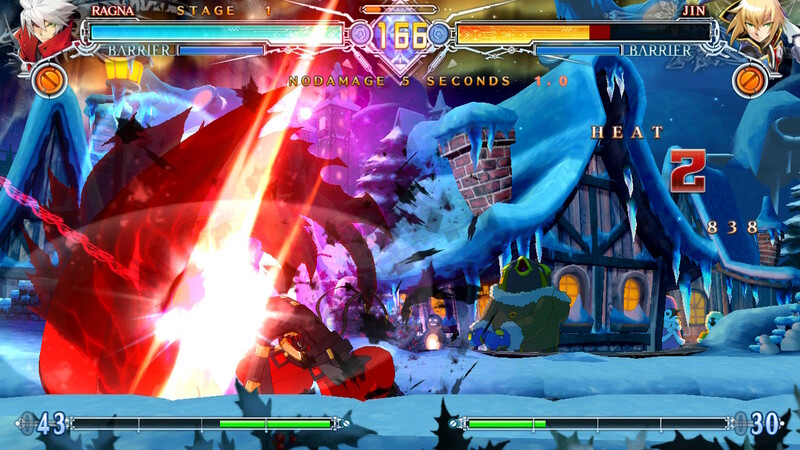 BlazBlue is a fast-paced 2D fighting game from expert fighting game studio, Arc System Works. As it turns out, he almost never uses it (outside of his impressive instant-kill Astral Finish), but digging my teeth into BlazBlue reinvigorated my love for well-crafted fighting games all the same. Fast-forward to the modern day and I legitimately can’t imagine what the fighting game community would look like without Arc System Works (ArcSys), the studio behind BlazBlue. Not only is ArcSys responsible for BlazBlue, but the team has also crafted virtually every other fighting game I’ve loved in recent years, including Guilty Gear Xrd, Persona 4 Arena, and the recent masterpiece, Dragon Ball FighterZ. With so many other fighting games on offer, one thing which makes BlazBlue special is how characters are treated. Characters have the Light, Medium, Heavy, Special, and Super attacks present in most fighting games, but they also have a unique Drive Attack button which boasts properties that differentiate them from everyone else. Here are a few examples, to highlight how crazy things can become: Iron Tager’s Drive will magnetize opponents, causing them to be swiftly drawn close to him every time he uses a Special move. Rachel Alucard’s Drive allows her to create a sudden gust of wind, altering the trajectory of airborne enemies, projectiles, and even herself. You can play as cats and butlers. What more do you want from life? Holding Carl Clover’s Drive button will allow you to assume control of his accompanying attack doll, Nirvana, allowing skilled players to create intense 2v1 scenarios. 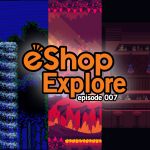 These are just the tip of the iceberg, with other characters employing block-counters, creating digital swords from across the screen, teleporting, causing bugs to rain down from the sky, freezing enemies solid, absorbing enemy health with every attack, and so much more. Additionally, the character roster itself boasts a wide variety. If you want one fighting game where you can pit a werewolf butler against a cat with a sword, a little girl with three souls against a giant blob, and a gullible ninja against a scantily-clad doctor, look no further. Unlike many fighting games, BlazBlue has a pretty deep and bonkers story which, incredibly, includes clever references to elements of quantum mechanics and more. BlazBlue is no slouch when it comes to story, either. 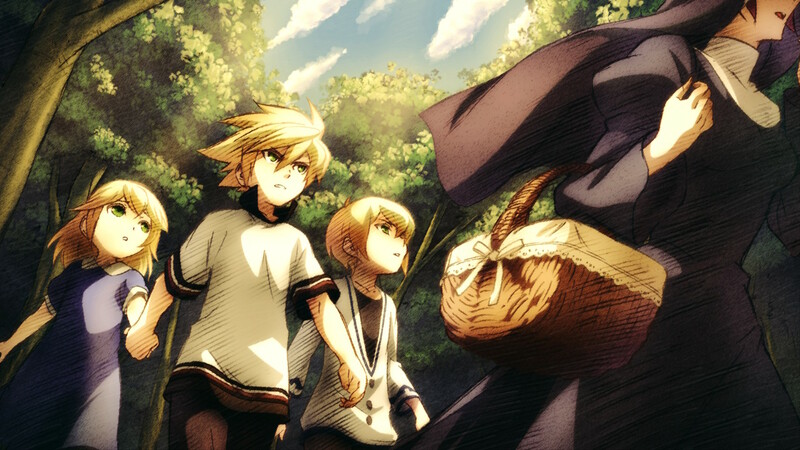 The plot of BlazBlue is fairly involved, with many moving parts, multiple factions moving at cross purposes, and several major twists as the series takes its course. The story also incorporates elements of theoretical physics and quantum mechanics, including quantum entanglement, the Schrödinger’s Cat thought experiment, and more. While specific elements and theories are never mentioned (and you certainly don’t need to be a science buff to understand the plot), the fantastical world of BlazBlue is built on these principles, and it is fascinating to see a story (particularly one in a fighting game) so cleverly incorporate those ideas to create a compelling world. If you can land an Astral move, it’s lights out for your opponent. Because of this, the world of BlazBlue can be outlandish as hell, but ArcSys played into that and made sure the game doesn’t take itself too seriously. Even with a vast, branching story mode filled with melodrama and tension, ArcSys still took the time to add a number of “What If” scenarios (unlocked by pursuing special paths of the Choose-Your-Own-Adventure-style Story Mode) which play into the absurdity of the world. 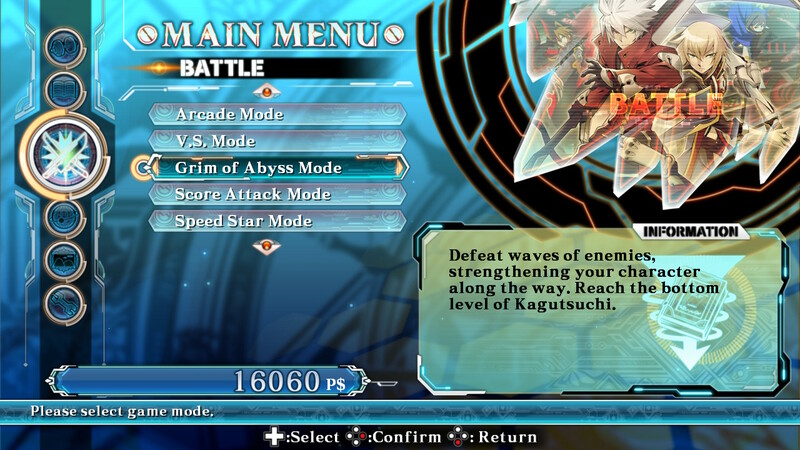 Beyond Story Mode, BlazBlue: Central Fiction Special Edition has tons of content to explore. 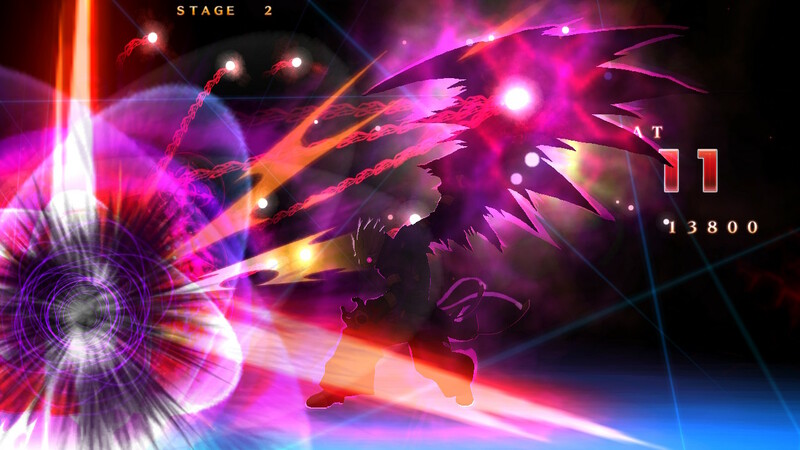 Improve your skills or learn new characters in the intuitive Tutorial and Character Challenge sections, push yourself to the limits in Score Attack, Speed Star, and Grim of Abyss modes, or challenge friends locally in Versus mode. There is also a standard Arcade mode, for those who want to recreate the quarter-popping action of going to Aladdin’s Castle for a friend’s birthday party in elementary school and waiting for 45 minutes to lose to your friend, who was WAY too good at playing Guile. 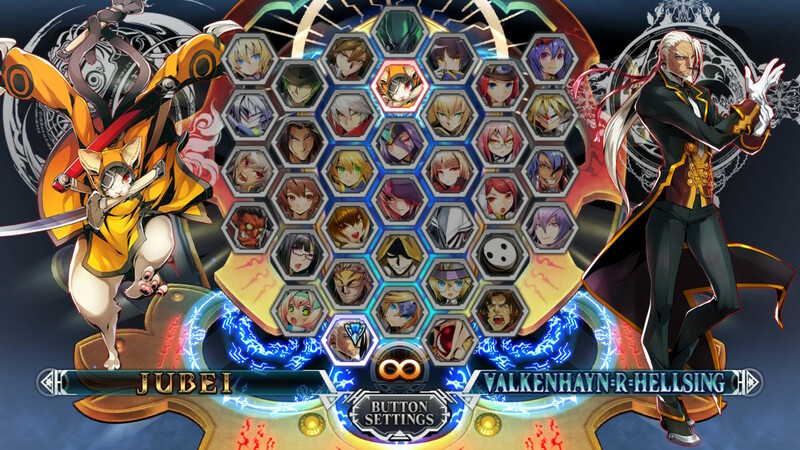 There are quite a few different modes in BlazBlue, so no matter what you are interested in, there is likely something here for you. 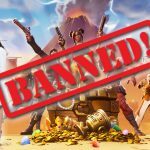 There is an impressive gallery of art which can be unlocked by completing challenges and spending in-game currency (accrued while participating in virtually every game mode), which includes official art as well as fan submissions. 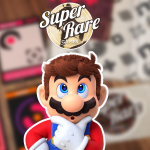 Expect to see everything from in-game cutscenes, to silly images, to powerful character moments, and even racy depictions of fan-favorite characters. 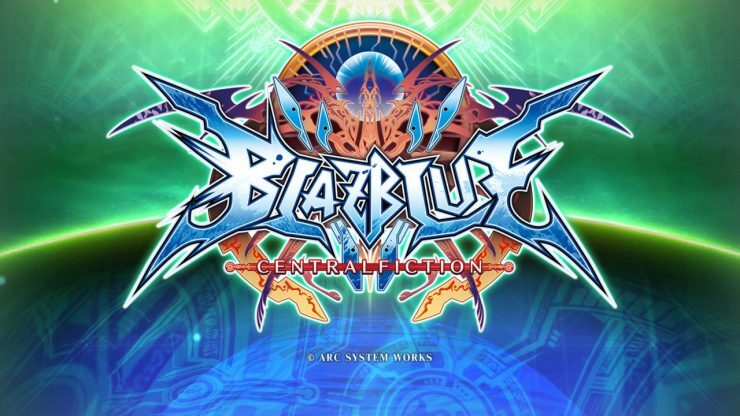 There are many incredible fighting games out there, some of which are available on Switch already, and BlazBlue: Central Fiction Special Edition makes for a great addition to any fighting game fan’s Switch library. For my money, Dragon Ball FighterZ is still the best fighting game on Switch, but BlazBlue: Central Fiction Special Edition is a strong runner-up. Publisher – Arc System Works Co., Ltd. Developer – Arc System Works Co., Ltd.
Brian Barnett has loved video games ever since his uncle Jimmy introduced him to them at the ripe old age of five. His wife, Audrey, was also introduced to video games by her uncle, lending credence to Brian’s theory that behind every gamer, there is a cool uncle. Since playing Super Mario Bros. on the NES, Brian has had a passion for Nintendo games. The first thing he did when he started earning money was save up and buy himself a Game Boy, and they quickly became inseparable. 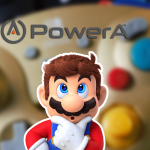 Through the years, this led to his special love of portable game consoles, so the release of the Switch is the perfect storm of Nintendo action he has been waiting for. In addition to his gaming obsession, Brian enjoys playing drums, writing and listening to music, and hosting a weekly video game and nerd culture podcast. He is an extrovert, and loves talking about and playing games with others, so let him know if you want to team up and play together!